MDM Landscapes offers professional, expert landscaping services in Dallas-Fort Worth, TX. From design to execution, we can help you achieve your vision exactly as you hope. If you need an experienced landscaper in the DFW area for your commercial property, apartment complex, or residential development, call us today at 817-396-0125. Flora or fauna (what we refer to as “gardening”) involving both the art and science of growing plant life with the ultimate goal of achieving an aesthetically appealing environment. Natural structures, like the shape of the terrain, changes in elevation, landforms, or bodies of water such as ponds or flowing creeks. More abstract components, such as lighting, weather conditions, and the surrounding landscape, can also be factored into an overall design. Landscaping requires an understanding of artistic design and an expertise in horticulture, both of which work together to ensure a beautiful landscape for years to come. Choosing the correct plants for a given climate will help ensure continued life and growth. Having a plan is valuable for keeping on time and ensuring overall cohesion among the various elements of your design, but designing as you go is perfectly fine as well. Experienced gardeners and horticulturists do it often, and usually with excellent results. However, it’s important to have experience in landscaping before attempting to continue without a plan, as many plants don’t work well together, pests can invade and destroy whole sections of flora in your landscape, and many species are annuals (which die each year) and may not return again in the spring. Get professional landscaping services in Dallas-Fort Worth, TX by calling our office today. Irrigation Management If you need to add an irrigation system, we can offer installation and management service. Landscape Design Our specialists can come up with a beautiful and unique landscape for your commercial property. 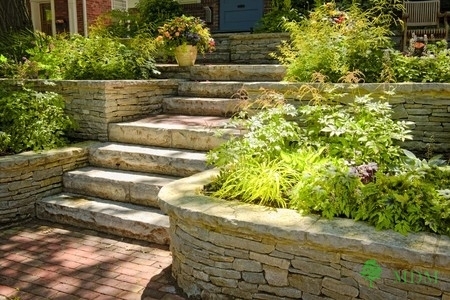 Hardscape Services Do you need steps, pathways, or other hardscaping installed on your property? Call us! You might think adding a couple of flowers and plants would be easy, but conceptualizing a plan on where to plant them can be tricky. If you are having a hard time coming up with a landscaping design, the specialists at MDM Landscapes can help you. We have been in this business for years, and have the skills and knowledge to come up with a landscape design that will transform your commercial property, apartment complex, or residential development. Not only can we offer flower bed installation and maintenance, as well as sod and grass installation, we offer services to keep your landscaping looking as beautiful as possible, from dirt and fill work, mulch application, and even sport turf, you can depend on us for superior landscaping services in Dallas-Fort Worth, TX. While the use of flowers and plants is a great way to increase curb appeal and increase the value of a property, it is a great idea to add pathways, patios, steps, and other elements to break it up. Hardscape services are a way to do this. Hardscaping is landscape architecture that is created with manmade materials. 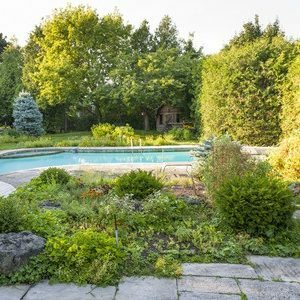 Our expert team is able to offer installation of retaining walls, stone work and flagstone, as well as other hardscaping to keep flowers and plants in place, as well as add more visual appeal to your property. If you are interested in hardscape services for your apartment complex, commercial property, or residential development, you can contact our office to set up an appointment for one of these landscaping services in Dallas-Fort Worth, TX. Having lush and green plants and grass is incredibly important, which is why it’s so important to water them regularly. While watering our grass and plants is essential, overwatering is becoming more and more common. We assume that our plants and grass a certain amount of water, but that can end up leading to soggy lawns, grass dying, as well as an increase in electric and water bills. One of the best ways to save money but keep your lawn looking beautiful is by investing in irrigation installation and management. With this type of service, our specialists are able to install irrigation systems and sprinklers on existing properties without damaging their landscaping, as well as new developments. To ensure your lawn is getting the right amount of water every time, call us at 817-396-0125. We are the professionals to go to for all of your landscaping services in DFW. It’s important to try your best to anticipate the need for heavier equipment in the future. Stump grinders, large mowers, HVAC units, tree trimmers, even porches or patios you decide to build in the future will have an impact on your landscape, so be sure to allow access to this equipment and anticipate any future projects you might have. Tree and brush trimming will be a necessary part of maintaining your landscape, and of course, any plants will have to be watered according to their needs. If your lawn doesn’t have a sprinkler system installed, consider how and when watering will take place when designing your landscape. Dial 817-396-0125 if you need landscaping services in Dallas-Fort Worth, TX. MDM Landscapes are the experts you can depend on! Updated on March 18, 2019 at 4:25 pm by MDM Landscapes.